What works best for me, on my farm? Rat poison (or rodenticides, if you’re feeling fancy). Do I like using poison? No, I do not. (Posions are deeply unpleasant.) But I found it necessary, and you probably will, too. I’ll talk about how I used it just recently. Later on, I’ll talk about alternatives, both real and fake. 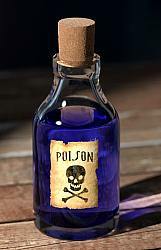 First, a caution: Don’t mess around with home-made or customized poisons. That’s idiotic and unnecessary. I use standard products in standard ways, and they work great. Oh, and by the way: mostly I talk about rats here, not mice. Why? Because products designed for rats also work on mice, but not vice versa. Mousetraps and mouse bait stations are just too small for rats. So I recommend buying products that are labeled for both rats and mice and benefit from the twofer. Most of my bait stations go outdoors, along walls, but some go indoors, in my barn, brooder house, garage, and basement, for example. One thing about having a farm is that you have a lot of buildings for local rodents to damage, few of which are rodent-proof. With bait stations in my basement, I don’t seem to need any in the main floors of the house. I use standard bait blocks. These weigh about an ounce and have a hole down the center, so you can fix them in place with a rod or a nail, preventing them from being dragged away by rodents, who prefer to hoard food in convenient places. But if they can’t drag it away, they’ll eat it in place. When I was first getting started, I didn’t understand this, and thought bait would stay where I put it. The rodents soon set me straight! I started out with mice in the basement. First I used snap traps, which rarely caught a mouse. Then I used pelletized D-Con bait. This eventually killed all the mice, but not before they hoarded most of the poison pellets inside the case of a disused computer and other odd places. That’s when I switched to bait blocks. Mice don’t drag bait blocks around much, but rats do. I realized my mistake when I saw that a rat had dragged a four-ounce Just One Bite bait block several feet to the mouth of its burrow. J. T. Eaton Top Loader Bait Station. Works for rats and mice. I don’t like the idea of this kind of surprise being scattered around at random, to (briefly) delight the next pets, livestock, or wildlife to happen by. So: no more pelletized bait for me, and the bait blocks are always fixed in place so they won’t be moved. I’m running a rodent buffet, not rodent take-out. 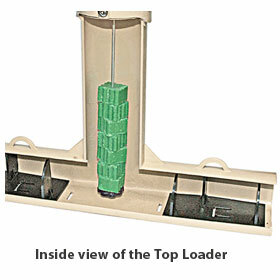 I especially like the T-shaped rat-sized Top Loader bait stations by J.T. Eaton. These are seriously weatherproof. The vertical section has a rod that holds five bait blocks, which is adequate. I just recently added a few little Tomcat brand two-block refillable rat and mouse bait stations. They have a little window so you can see if the bait is being eaten. When a glance through the window shows the bait is getting low, it’s time to check my bait stations. 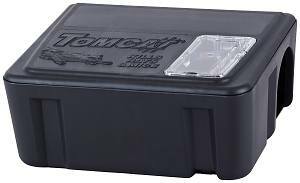 Tomcat Refillable Rat & Mouse Bait Station. 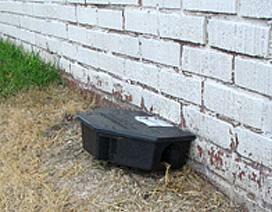 Bait stations are like a four-star restaurant to rodents but are hard for other critters to gain access to. Dogs, cats, chickens, and children can’t get at the stuff. The bait stations are also weatherproof. In particular, they’re rainproof. I fill the bait stations with bait blocks. 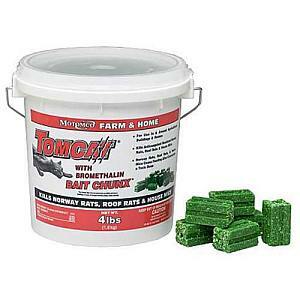 My current favorite is Motomco Tomcat Mouse and Rat Bromethalin Bait Chunx. This product is available pretty much everywhere at reasonable prices. Rats and mice will happily eat this bait even when there’s plenty of other food around. This makes rodent control surprisingly easy. If I have more than one kind of bait block, I alternate between two (or even three) different kinds in the same bait station. We aims to please. I place the T-shaped bait stations in any areas of high rodent activity and also near the exterior doors in my barn, brooder houses, home, etc. This disposes of as many newly arrived rodents as possible outdoors, before they’ve had the chance to do much damage. I place the smaller Tomcat bait stations indoors, inside the exterior doors in my barn, basement, etc., where I can keep an eye on them. Once I’ve filled and set the bait stations, I check them daily for a while. Sometimes rodents start eating the bait right away, sometimes they wait a few days before they’re willing to try it. But they can eat all the bait overnight once they start! I’ve had bait stations go untouched for two nights, then go completely empty the third night. If they’ve eaten enough to allow more bait blocks to be added to the bait station, I top it off. Usually there are just a few days of heavy consumption, then the bait station runs out of customers. By the way, I take no measures to keep my scent off the bait station or bait. It doesn’t seem necessary, at least not on my farm. With bromethalin bait, the rodents seem to be gone within a week. With other baits, a few days more. The rodents will completely empty some of the T-shaped bait stations once or twice, maybe even three times during this period. I’ll find some dead rodents are in random locations. Fortunately, most of them seem to expire unnoticed in burrows somewhere. After that, activity pretty much ceases: the bait goes untouched and signs of rodent activity falls to zero. This lack of activity can last for months. There will be no point in checking the bait stations daily, or even weekly, because there’s almost no bait consumption. But I always end up forgetting all about it for months on end. Once the bait stations finally run out of bait, the rodent population picks up, and we repeat. I suspect that we sometimes get rid of 100% of our rats, and most of our mice, but a few newcomers are always drifting in, so there’s no permanent solution. Usually I find just a few dead rodents, far fewer than is indicated from the amount of bait consumed. This is just as well. The rule of thumb is: a one-ounce bromethalin bait block will kill three rats or 12 mice, and any other kind of bait block will kill one rat or four mice per ounce. Let’s use my most recent experience as an example. The neighbors mentioned that they were noticing some rats, which reminded me that I hadn’t done anything about my bait stations in a while. I opened up my bait stations, and every single one was completely empty. They were full the last time I checked, more than a year ago, when there had been no sign of rodent activity for quite a while. So I’d definitely acquired some new rodents. 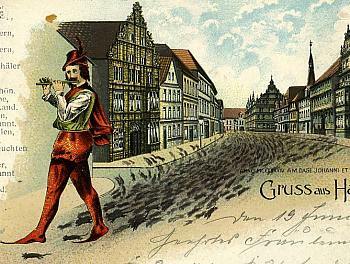 Some people say that old bait goes unpalatable after a while, but apparently the old bait was still plenty yummy, since it had all been eaten, down to the tiniest crumb. As I’ve said, I use weatherproof bait blocks exclusively. It was time to buy a new bucket of bait. But which kind? Curious about whether the state of the art had shifted since the last time I checked (it had), I learned that a relatively new rodenticide, bromethalin, was now being pushed pretty hard, while the previous champions, the second-generation anticoagulants like Just One Bite II, were soon to be unavailable in “consumer packaging” and only purchasable in minimum units of eight pounds. First-generation anticoagulants could still be sold anywhere. Apparently this is all about secondary poisoning of pets and wildlife who eat poisoned rodents. This is much less of a problem of a problem with the new kid on the block, bromethalin, and the geezer-class rodenticides like diphacinone. As it happens, I’d been using diphacinone-based Motomco bait for ages, and it had always given good service, though it takes a week, maybe two, before the last rodents stop eating and ascend to Rodent Heaven. I bought another bucket of this tried-and-true bait. It is available pretty much everywhere, as far as I can tell. Bromethalin works faster and, unlike the others, the rodents stop eating after just a feeding or two, meaning that you can control a given rodent population with only a third as much bait. So I bought a bucket of Motomco bromethalin-based bait blocks. This is the easiest bait to find in local stores. The downside of bromethalin-based baits is that, according to some, the rodents don’t like the taste as much as other baits, and it may not work well if the rodents have alternative sources of food. And, after reading some research and looking at pest-control forums, I indulged in an nine-pound bucket of Motomco Hawk bait at the local farm store. This second-generation bait is supposed to be super-palatable, and rodents generally consume a lethal dose in one or two feedings, making it especially effective in areas where rodents have easy access to other feeds (chicken feed, in my case). Since this is the Age of Science, I put multiple kinds of bait in each feeding station, so I could test relative palatability. As usual, the results were mixed. For example, one bait station went untouched for a couple of days, then was emptied overnight. The next night, it was partly emptied, and seems to have remained untouched since then. The Rampage and Hawk baits seemed about equally acceptable. Other bait stations had less activity, and there seemed to be a small but real preference for the Hawk bait. Both kinds were being eaten, but more of the Hawk. After more than a week, bait consumption virtually ceased. Conclusion: The bromethalin-based bait seems about as good as anything. Since it has less potential to kill pets and wildlife that eat poisoned rodents, and kills three times as many rodents per block, it’s my new go-to. Are the Rodents Really Dead? Are the rodents dead, or did they get wise to my tricks? When people evaluate rodent control scientifically, they take steps to measure rodent activity, not just bait consumption. They do this by setting out non-poisoned bait and weighing its consumption, counting droppings in high-traffic area, monitoring fresh activity at the mouths of burrows, counting the rodents caught in snap traps, etc. I haven’t done any of this systematically, though I often notice new tunnels, rat-chewed feed sacks, and droppings as a side effect of doing my chores, and these do indeed fall to zero after every round of baiting! Various universities have done research on farm baiting programs, and these field tests show that rodents never seem to wise up about modern baits the way they did with the scary old-fashioned baits like arsenic and strychnine. Near the house, I rely on bait stations leaning against the outside of the house, since I’d prefer rodents to expire outdoors, preferably without ever entering the house. The same goes for my other buildings, of course. The cats take care of the mice in the house, but rats are another matter, and I’ve been pleased that my outdoor bait stations show far more activity than the indoor ones just a few feet away. People often suspect this is caused by rodents that are immune to the rodenticide. Warfarin-resistant rodents are apparently a problem in Europe, but there are very few reports of resistance in the United States. In any event, no one uses Warfarin anymore. I don’t think anyone, anywhere, has encountered resistance to bromethalin or second-generation anticoagulants. You have more rodents than you thought, so it takes more bait than you thought. Keep refilling the bait stations until feeding ceases. After a few days, your rodents ought to be at least nibbling at the bait. If not, move the bait stations and try again. Rodents have feed preferences, just like any other creature, so trying a different brand may whet their appetites. If the rodents have lots of palatable feed in addition to bait, they may not eat enough of it. I’ve seen rodent problems vanish even when they had access to chicken feed and grain, but your rodents may not be so easily duped. Making feed storage and feeders more rodent-proof will help. Wild rodents and rodents from other farms migrate onto my farm from time to time: sometimes more of them, sometimes less. This means that a permanent extinction of my local rodents isn’t practical, the way it is on some Pacific islands, where rats that arrived on European sailing ships have finally been eradicated. So I leave my bait stations deployed year-round. I have three cats. They live in the house and spend a lot of time outdoors. There seem to be no mice in the house these days. As for the outdoor rodents, the cats deposit dead rodents on the welcome mat several times per week. Voles, moles, and mice. No rats. It looks like the cats do a good job keeping the house rodent-free but the rest of the farm is too big a job for them. If the cats aren’t killing rats, does that mean we don’t have rats? No. We have rats, all right. It’s just that rats are outside the cats’ weight class. Many terriers love killing rats, and presumably mice, as well. I have no experience with this, however. Traps are okay for rodent control. They’re not my favorite, but they have some advantages over poison bait. One is that the traps give you a positive ID of what kind of critters you’re dealing with. Another is that the deceased rodents are at a known location, so you can chuck ’em out before they smell up the place. My limited experience with the new-style traps that look like alligator clips is favorable: they’re easy to set and seem to get the job done quite well. There are big ones for rats and little ones for mice. I’ve had poor results with old-time snap traps, but some people swear by them. The one time I used rat-sized glue traps, the rat escaped, so I’m sort of down on those. Because I have cats wandering around, I’m not willing to scatter traps everywhere. Some bait stations can accept traps, and you can create DIY methods of protecting pets, livestock, and people from your traps. So far, peanut butter has been by far my most effective bait, for both mice and rats. Cheese doesn’t even come close. I suppose people who believe this also believe that humans get rid of gas by vomiting, rather than by burping or farting. I’d give a lot to not sit next to these people when they’re drinking a soda! And, anyway, soda goes flat too quickly for this method to have a chance. The idea here is that is you mix plaster of Paris with grain, it will make a delightfully irresistible meal for the rodents, who will gobble down enough that they die of a tummyache. The problem with this (and every other folk method) is that rodents don’t wolf down food like dogs. They’re cautious. They try just a little and come back hours later if they still feel okay. And the other rodents in the neighborhood watch and learn. This is why it’s hard to use old-fashioned rat poisons like strychnine and arsenic. They kill too quickly. You have to put out unpoisoned bait for a while first, then do the switcheroo, using poisoned bait that is as close to identical to the first bait as possible. I don’t know about you, but I think a rodent can tell the difference between oatmeal and plaster with a little oatmeal thrown in. One reason to buy commercial rodenticides rather than trying to become a Master Poisoner in your spare time is that there are some fine points. Commercial rodenticides have a “bittering agent” that makes them taste terrible to humans, and to a lesser extent to dogs and cats, without interfering with their palatability to rodents. This makes it less likely that pets and humans will snack on these poisons. Sadly, dogs bolt down food so quickly that this protection can be hit-and-miss. So use pet-resistant bait stations, and store your unused bait where Fido can’t get at them. Pets and wildlife can be poisoned if they eat enough poisoned rodents. This is apparently a much larger problem with the second-generation anticoagulants than with the first generation, or with bromethaline. That’s why the EPA has made it hard to get second-generation anticoagulants in “consumer quantities” (less than eight pounds). I’ll go along with that. Once I run out of my tub of Hawk bait blocks, I’ll stick to the safer kind, which have always worked great for me, anyway. Your mileage may vary. Apparently secondary poisoning is rarer than you’d think, and most vet visits are for dogs who got into the rodenticide and bolted down some bait blocks. Feral cats who live entirely on what they can catch are particularly at risk, though, so feed your cats! 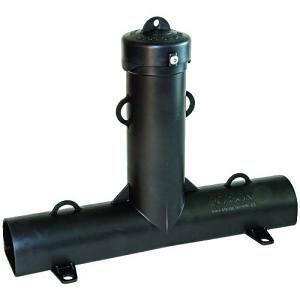 If you’re not certain you even have a problem, it’s not very expensive to invest in a few bait stations and put them in likely places: near feed storage, along the outside walls of house, barn, and garage, etc. You can use pre-baited, disposable bait stations with four-ounce bait blocks to start with. You don’t have to handle the bait that way. If the feed remains untouched for weeks, you don’t have a problem. If it vanishes, you have a problem. If some of it vanishes and consumption stops, you used to have a problem. Thank you for this… I’ll be doing a few chickens in my backyard later this spring and it sounds like here in North Eugene we have some rat problems going on. I was wondering how I might address that and now I have a good direction to go. Thanks again! Thank you for this common-sense run-down on a vital subject. I had rats then I didn’t have rats, now I’ve got rats again. Rat terriers work very well for eliminating rats. Look up the “Mongrel Horde” on Google; it is a commercial service that uses terriers as their sole method of rat control. I read what you wrote about this rodent thing and have developed a 4 pronged approach to the situation. The first 3 have been in place for some time now. A Tomcat plastic jawed snap trap, a Mossberg .410 pump shotgun, and an electronic RatZapper. At first I was careful in my shotgun use because I really didn’t want to be ruining the black rubber animal feed bowls we use. One got damaged enough by the pig and it became the one I began to use. Lo and behold I find the things shrug off a shotgun blast from as close as 10 feet. The RatZapper and the Shotgun are pretty much the most effective devices it seems with the shotgun holding a slight lead. The RatZapper gets mice too so that’s a bonus but it isn’t large enough to get the grown up rats you really need to remove. The final addition to the bag of tricks I’m using happened just the other day and the rats themselves clued me in on what to do. I will email you several pictures to illustrate. I didn’t want to be up in the middle of the night shooting at rats so I have been taking up the poultry food bowl they are raiding before I turn in. I put it back in the morning. In order to give myself a better chance at a shot (because the rubber bowls shrug off the shotgun pellets) I started to leave a little pile of grain just outside the bowl. The rats would stop to eat there and boom, lights out. But I could never pick up that pile of grain at night and I knew I was leaving easy pickings behind. I started to cover that pile of grain with another food bowl and a weight on top and found in the morning it hardly slowed them down, they just dug a entry under the bowl and got the food. And then it hit me. I’ll leave the snap trap under the turned over bowl and bait it with grain. Worked like I expected last night. I imagine under the bowl they have less chance of being able to determine what is there and the turned over bowl is similar to other places they like to hide so the rats become less wary. I’m just pleased it’s proof that we humans are still smarter than the rats. You’ve hit on some of the tried-and-true techniques that I, for one, am too lazy to use! “Prebaiting” to get the rodents used to feeding in an area, followed by traps or poisoned bait, used to be necessary, and of course it still works great. I’m just grateful that the modern rat baits don’t require this. I’m also a big fan of the .410 shotgun! When I use live traps and catch something troublesome — a skunk or a raccoon, say — a .410 dispatches them without damaging the trap. It doesn’t have much range, but it doesn’t need to.